He’s been a major figure for the last forty years. Figure? I mean figures (plural). 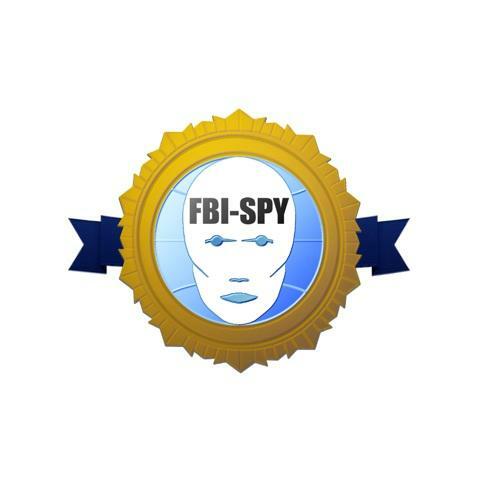 FBI-spy reviews the David Bowie Strange Fascination symposium. During a guest-led panel at the Bowie Symposium, Hot Press editor Stuart Clarke joked that Bowie, who he has interviewed many times, would 'chuckle at the notion of such a conference … He likes us all to keep swimming in soup, wondering what he is up to'. It was a soup that attracted a strange bunch of foreign bodies, as much from the academic world as from the culture industries, including the Victoria and Albert Museum, the University of Arts London and the University of Maine. Crucially, it also attracted fans. As evidence of the cross-over appeal of its subject, the Symposium recorded 8,000 ‘likes’ on Bowie's Facebook page. Part of the three-day event included tribute act Rebel Rebel which stimulated drinking and dancing, if not discussions on simulation and irony. Also included on the bill was that guest-led panel discussion on Bowie’s cultural relevance, the contributors to which were Deputy Editor of Hot Press, Stuart Clarke, lead vocalist of the Undertones and Today FM presenter, Paul McLoone, David Bowie's former Press Officer at RCA, Chris Charlesworth, and Bowie biographer David Buckley. That Bowie would find it all amusing wasn’t enough to dim the enthusiasm of delegates or organisers. The conference was chaired by a team of lecturers from the University of Limerick. Eoin Devereux is a Senior Lecturer in Sociology and used to be a broadcaster on pirate radio. Martin Power lectures in the sociology of urban regeneration. Aileen Dillane is an ethnomusicologist. The team have some experience of rock-conferences, and are joint editors of the book Morrissey: Fandom, Representations and Identities (2012). Through the University of Limerick they previously staged the Morrissey Symposium, The Songs That Saved Your Life (Again). The panel notwithstanding, there was never going to be much requirement for proselytizing on Bowie’s cultural significance, yet a couple of papers made interesting and uncommon claims. Paul Fuller asked how Bowie understood and practiced Buddhist ideas through songs such as Word on a Wing, which is charismatic in having a power beyond its content. Richard Fitch talked about the singer's intellectual significance, arguing that Bowie's politics lead to cultural transformations rather than merely those related to identity (you only wear a mask when you can't escape yourself, he said). Intriguing, if counter-intuitive. The theme of identity loomed largest, as you’d expect, with most of the delegates either focusing on it outright or stitching it in. Bowie was overt about his mask-wearing right back in the 1960s, learning mime from Lindsay Kemp and exploring characters on the critically-overlooked album Images. So there is nothing contentious or even new about foregrounding identity issues. Interestingly, the issue of authorship was addressed less to his output than to his own ‘surface’ construction although clearly the two are entangled. The blurring of this border was highlighted by Barish Ali’s pedagogic focus, which drew upon classroom experience of teaching Bowie as the author of ‘himself’. A postmodern approach to literature was also the banner waved by Vanessa Garcia’s presentation which looked inter-textually at several contemporary novels where the ‘surface’ is negotiated as an intrinsic layer to depth. ‘Surfacing’ is the post-modern state of bricolage, of course, and an area of enquiry that casts doubt on ‘creative’ notions of the author, or intentionality. William Garvin compared Bowie to T S Eliot, who taught William Burroughs, and notes that referencing, or the channelling of others' voices, leads to questions of creative control. The cutup resonates with Bowie’s fascination with Burroughs’ experimental juxtaposition technique which he in turn ‘discovered’ through Brion Gysin. Bowie’s lyrical assemblage is his early material is well documented, but Tiffany Naiman drew attention to how it works alongside Baudrillard’s degradation of aesthetics on the Outside album; a symbolic breakdown where art itself ceases to mean anything in the Romantic sense. This has implications for how we see Bowie as bricoleur and many papers picked up on whether a figure can be more than the sum of his figurations. Helene Thian lauded Bowie’s active collaboration with Kansai Yamamoto as seminal in the construction of the West’s appropriation of Japonism, in particular the Androgyne archetype as reconfigured through this blend. Bowie as figure has been cropped and tweaked and represented through promotion and merchandising, a point made by Ian Chapman who studied how the mediated figure ‘evolves’ through his album art from the early intimacy of the eponymous David Bowie to the brand Bowie as represented on the dystopian fantasy alienation of Diamond Dogs. Hans Peter Frühauf pointed to the correspondence between album art, as well as other forms of staging in films and videos, and the avant-garde of the 1920s, which also focused on the lack of a core authenticity to identity. Identification is also problematic in Bowie’s starring roles on celluloid. Julie Lobalzo Wright pitched him as a difficult fit as a Hollywood star due to his reconfigurations, yet he strangely crosses over in his performance in The Man Who Fell to Earth ironically reflecting back his androgynous, queer image. Mehdi Derfoufi similarly argued that Bowie’s performance as Jack Celliers in Merry Christmas, Mr. Lawrence drew upon strategies of the star system to address the androgynous desire of the spectator, thus implicating the star into the discourse of masculinity-in-crisis. The thread was picked up by Dene October who pitched the Thomas Jerome Newton figure in The Man Who Fell to Earth as a fallen one whose crisis is nevertheless an opportunity to ignite a less historically oppressive figuration, one that is offered – via quantum physics metaphors – as a more creative substrate to identity. If the weight of history was getting too much, there were psychoanalysts on hand to cast Mr Bowie to the couch. Ayten Deniz Tepeli, Busra Yalcinoz and Yasemin Tabbikha studied his maturation process through various stages as manifest in his lyrics, while Ana Leorne painted him with a Freudian brush, arguing that Ziggy suffers from an over-constructed ego. But all’s well that ends well, if you agree with the general thesis here that Bowie puts away his toys and matures into ‘reality’. According to Stephanie Piotrowski and Bethany Usher, Bowie’s later work, including the critically denounced Tin Machine, allowed him to exorcise his own oppressive creations, even if the music industry mourns these little deaths to the extent of painting older Bowie back in his own slap (as Q Magazine did when it airbrushed the Ziggy flash onto an unsuspecting Bowie). All of which attests to the health of Bowie as a coherent self, yet the most understated theme of the conference was surely a concern for it. Paul McCullagh explored the technology of assisted health as a backdrop of running the Berlin marathon, all to a Bowie soundtrack of course. And all to a backdrop of the Heart’s Filthy Lesson, and the fact that Bowie’s last major creative flourish came just before his heart surgery. Richard Mills pitched Ziggy as borrowing from Bowie’s musical icons Vince Taylor and Syd Barrett, whose breakdowns become a recurring theme in Bowie's work. But Bowie is pitched as knowingly performing Ziggy et al and maintaining a professional performative distance. All this health stuff was raising the shackles and many more questions than could be answered, academically at least. Just chatting with the delegates, one got the feeling that the symposium was a proxy live event, substituting for some kind of return to music, film or what-you-will, in any figuration whatsoever. Where are you David Bowie? How are you David Bowie? But of the question of who are you David Bowie there was an uneasy consensus and perhaps the last words on identity belong to those of the first speaker, V&A curator Kathryn Johnson. To put it glibly, there is no answer. Or, more precisely, there isn’t one answer. That’s the point, though, isn’t it? There are too many parts, and maybe Bowie is just the sum of those parts. But there are also many spectators, and as the diversity of delegates attests to, there is not one authoritative voice. Which leaves it all up for grabs, and if you are a fan, that’s probably the endgame you desired. And don’t forget that these academic delegates are also Bowie fans … some of them would be hard pressed to prioritise those qualities. Fandom takes a more active role in the construction of the music business than when Bowie was Ziggy, and therefore in constructing a mediated view of the starman himself. Tanja Stark discussed fandom in relation to her own art as well as childhood fascination with Bowie ephemera. Sam Coley ended the conference by showing how fans had reauthored Bowie material, specifically a Maori/Bowie Waiata, using social media technologies. The issue of copyright protection is one that Bowie is progressive and vocal about (indeed, when the project Toy ran into copyright issues, it would not be stalled and 'somehow' found its way via the internet into fan collections). Maybe Clarke is right. ‘Bowie is happy for us to join the dots on his mystique and let us work it out for ourselves’ he says. The Bowie Symposium has certainly drawn one messy multi-penned scribble. Yes, Bowie will be laughing tonight.